Chicks with Watches began as an Instagram hash tag, and has blossomed into a full website gallery where watch enthusiasts can share photos of their favorites, comment on others, and enjoy watch reviews and other content. CwW founder Erin Haight has posted three video reviews, and one written review courtesy of the less photogenic Time Bum. Every day, CwW announces a theme, and the community (both guys and chicks - CwW welcomes all) responds. 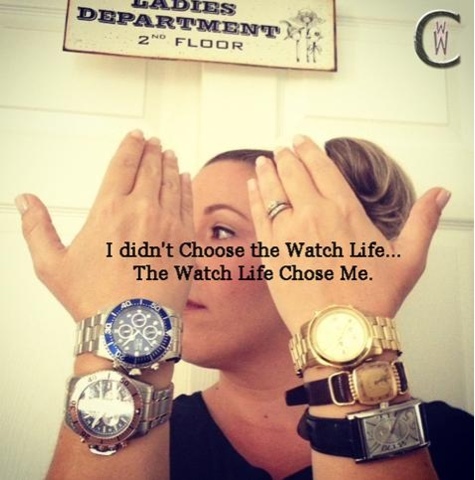 Check out Chicks with Watches at www.chickswithwatches.com and @chickswithwatches.